You are here: Home » Can I Marry Him (or Her)?, interracial marriage, Islamic Answers 2011, Marriage » Will I be allowed to marry him? Will I be allowed to marry him? "O mankind! We created you from a single (pair) of a male and a female, and made you into nations and tribes, that ye may know each other (not that ye may despise (each other). Verily the most honoured of you in the sight of God is (he who is) the most righteous of you. And God has full knowledge and is well acquainted (with all things)." 49:13. I am in desperate need of guidance as I am unsure of what to do. I am in love and loved by a Muslim man. He comes from a family in which his culture is very important and everyone tends to marry from the same ethnic background. My background is somewhat more complicated as my mother is a Muslim yet she is not entirely strict as we are from a Western country and my father is not Muslim, however I have been brought up having correct morals and values. I consider myself to be Muslim, yet I would say I am much more liberal than my partner and I have doubts that his family would not be as happy about us wanting to marry. I am very respectful of my parents, so I understand that my partner would not want to do anything to upset his family, but it hurts me when he tells me that he does not know if we would be able to marry and I know he has doubts perhaps because of our different backgrounds. I am not sure what to do. Or if this relationship will be allowed to go any further. I did not think I would have this much difficulty and I would appreciate as much guidance and advice possible, will our backgrounds be an issue? And if so, what can I do for this to work? if a guy is seeing you but not commiting to marry you, mostly the doubts are in his own mind , not the family. guys just use family, culture , race, religion, as an excuse so that they can use it as an escape goat. if a man decides to marry someone he does. if he has already told you that he is not sure then , tell him that in islam if we are not talking with the intention of getting married then there is no place for just a pass time relationship. 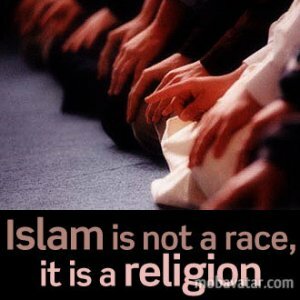 this is true even if one is not muslim. slowly withdraw yourself from him , like less seeing him and then tell him that he can talk to his family regardng you and if he is not able to take a stand dont rely on this guy. no matter how much he loves you or you love him at the end of the day if he is not able to take a stand for you two then he does not love you enough. he only can express his love when others are not watching and does not have guts to marry. sorry i dont mean to be bitter and angry but this is the truth my sister. if its not anything to do with the family they will use an excuse saying iam not ready. think about this with your brains not just heart. I heard those very same words from my husband ("he tells me that he does not know if we would be able to marry"). 32 years ago. We come from very different backgrounds. Him being Saudi and me being American. We made things work and so can you. I am not here to tell you it is an easy road because it certainly is not. There are many sacrifices on both sides but if there is love, respect and determination...you can do anything. if you both are agree to marry, then you can marry him. Because you have inter-religious marriage background, since your mother is muslim. You respect your parents there is no problem, but if you definitely believe in Allah, so there is no need to worry. His family members will definitely accept you since you believe in islam and you are a muslim... you can marry him.